Designing a website that looks aesthetically beautiful and pleasing to the eye is what designers are hired to do. However, making sure that an e-commerce website, like GoPromotional, converts properly is just as important. There are certain things that you can do to make sure that your IT skills and web development skills can shine alongside with one thing that many designers miss out on - the art of designing sites that convert. Of course, the shopping cart section of a website is where this is most crucial. We have a 8 step checklist for you to make sure that your client will be happy with how good your website's design looks as well as how well it converts. As a designer or a developer, you know that your site is secure because it has to be in order to meet the requirements set out by the credit card processing companies. However, your client and most importantly, your client’s customers do not know this. It must be immediately evident that the checkout process on a website is secure and features the highest levels of security possible. Ensure the safety of their credit card details and personal information will make shoppers comfortable with buying online. The checkout process is not the place for fancy industry jargon. Make sure that all of the wording is simple and concise and leads the customers along the path to conversion. The design from the website to the checkout process should be consistent in appearance and design. 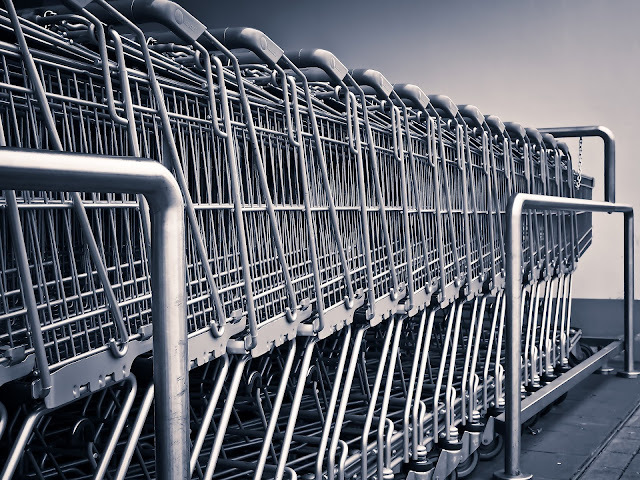 Often times, a third party shopping cart might instantly look different. Having everything aesthetic about a website change suddenly when you are asking consumers for their credit card payment and personal details is a bad idea. It can cause them to be concerned about who they are giving their information to, and that hesitation can cost the conversion. Do you like it when you are shopping online and you don’t see how much the shipping is going to be? Neither do any other shoppers. Make sure that you let shoppers know how much shipping is. If your shopping cart has to calculate it based on the address and other information, add a concise note explaining that the shipping information will appear before you ask them for payment, or list approximate or average shipping costs. If the shoppers get distracted looking for shipping costs, then chances are they can get off track and abandon the checkout process altogether. Of course, this means, do not code the shopping cart to add shipping after the customer enters the payment information. If the client offers free shipping, this should be prominently displayed so that there is no question and no reason for shoppers to get hung up on looking for shipping costs. Online shoppers need to be lead to conversion. This means that your checkout path must be clear, let shoppers know where you want them to go next, label it clearly and keep the colors consistent too. Link to Policies: Every e-commerce website has policies. It is the nature of the beast. However, listing all of those policies during the checkout process can be too distracting and lead to car abandonment. You should link to them with short messages (for example: “Your Privacy Matter, We Never Share Information”) and the link should open in a new smaller window. Don’t drive the shoppers away from the checkout process, but give them enough information to understand the gist of the policy and a place where they can easily read more without stopping the checkout process. Another great example is: “Easy Returns” linked out to the return policy. In many cases, it is better to add a step where shoppers can review their order before completing the order. This allows customers to feel at ease filling in all of the information for the order since they know they will be able to review it. This extra step can often help the conversion process even though normally you don’t want to make it longer or add extra steps. As you know, each business is different and what works for one might not work for another. Consider adding a testing phase into your design or development packages to ensure the best outcome for your clients. This helps find the right balance and their “sweet spot” for conversions. Testing different check out options can help you look like a rock star in the eyes of your client and lead to better conversions and more sales for them. Remember, your client's success is your success too. These tips are here to help you be a better resource for your clients and add in extra benefits to your design and development work. Remember to stay in tune to each of your client's needs. This is just one more avenue for revenue and package options that you can offer. Just as testing is key for an eCommerce website, testing out which options and packages to offer your clients is also the best way to find what works best for you. Stay on top of technology and trends for eCommerce the same way you do for design and development technology and trends.